The monkey theme for birthday parties is one of the top picks here in the Madison (WI) area. Make sure that your next monkey party shines in the kids' eyes. The Jungle Monkey Bounce house is a colorful playground area with a basketball hoop for kids of all ages. It works great for Hawaiian parties too! Get your party kids engaged in active and healthy entertainment activities. The Monkey Bounce has 225 square feet of bouncing area, adding value to any party rental, either inside or outside. 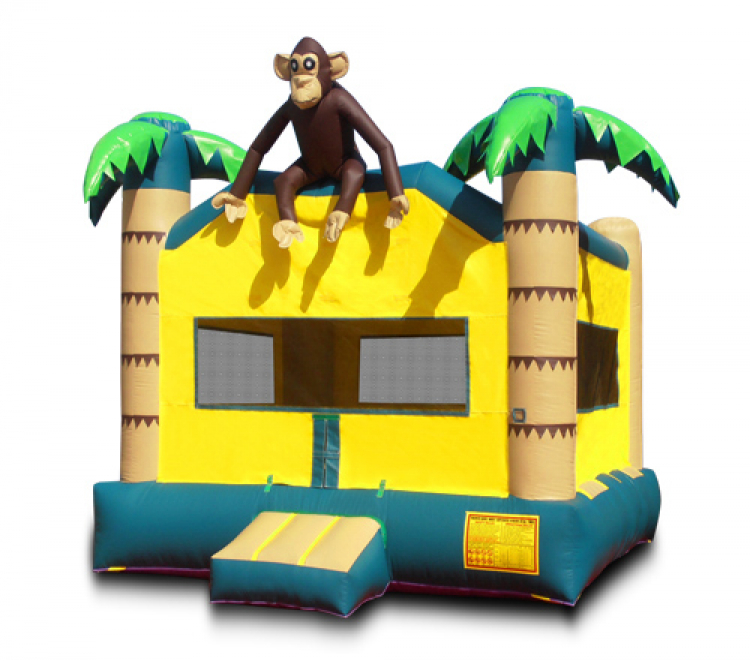 Get your party jumping in the Jungle Monkey Bounce House!